As 2017's City of Culture, Hull is a total must-see; offering a plethora of things to do, including theatre, exhibitions, shows and much more! 2017 is the year of Hull. If you haven’t already visited the wonderful sights and attractions of East Yorkshire’s main city, then this year is the time to do so. As 2017's City of Culture, Hull is a total must-see. 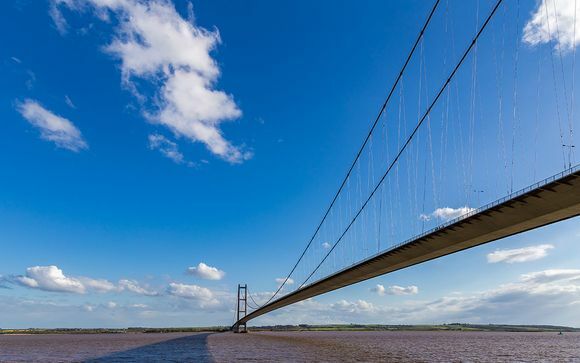 Head to Hull to fully appreciate the city and check out its most iconic emblem and one of the world’s longest single-span suspension bridges: the Humber bridge. 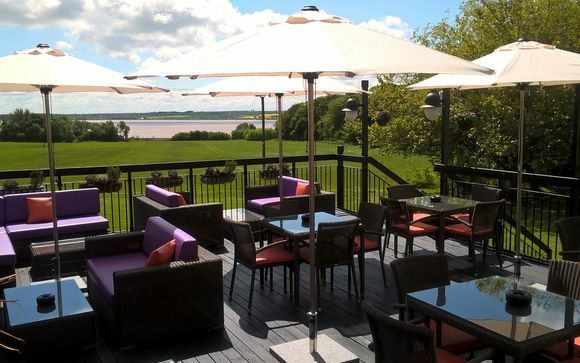 Located on the outskirts of Hull, Hallmark Hotel Hull offers dramatic views over the Humber estuary and the iconic bridge, and sits amongst 17 acres of lovely grounds. During this special year of culture, there will be a plethora of things to do in the city, including theatre productions, shows, exhibitions, fayres and so much more. Winner of Visit Hull and East Yorkshire's Remarkable Accommodation award 2017, the Hallmark Hotel Hull has 95 bedrooms, a cosy brasserie, lounge areas, meeting and function rooms, free WiFi, free parking and Sky Sports as well as beauty, fitness and treatment rooms. 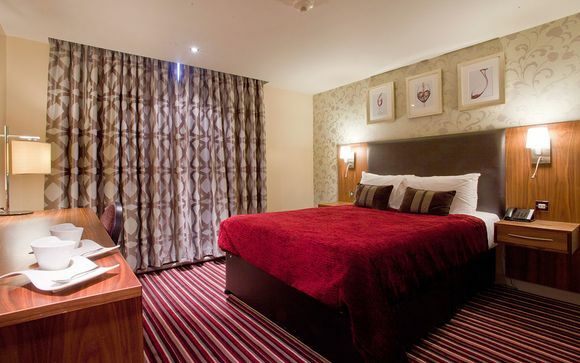 You're sure to get a great nights sleep in one of the stylish bedrooms, and enjoy comforting cuisine at the Brasserie from steaks to curries. And, when the sun appears, the best thing to do is kick back in the outdoor terrace with a classic afternoon tea. Beauty, fitness and treatment rooms, sauna, gym. The 95 stylish and modern rooms are bedecked in warm shade and richly patterned carpets and feature excellent beds with crisp white lines and plump cushions. These are spacious rooms with plenty of natural daylight, contemporary décor with chenille throws and complimentary WiFi, a flat-screen TV and writing desk. 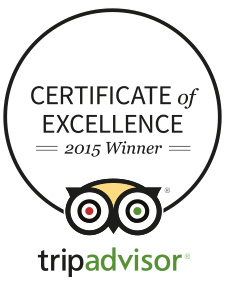 Each day, guests will enjoy a delicious buffet breakfast including a cooked and continental breakfast items. 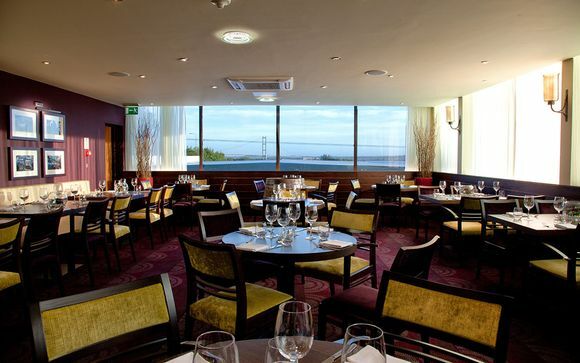 The restaurant, adorned in cream and rich bugundy hues, monochrome photography and panoramic views, is a bright and modern destination serving modern European cuisine with an Asian/Moroccan touch. There is also an elegant wine bar for a relaxed drink or the lounge for a classic afternoon high tea. Work up a sweat at the excellent fitness centre with state-of-the-art equipment and then treat yourself with a visit to the sauna and relaxation area which are all free to use. Why not also opt for a beauty treatment to get totally pampered? On passing through the village the Hotel can be found approximately half a mile on the right.